I wouldn't say that I am the type of girl who would go out and spend ridiculous amounts on makeup brushes. 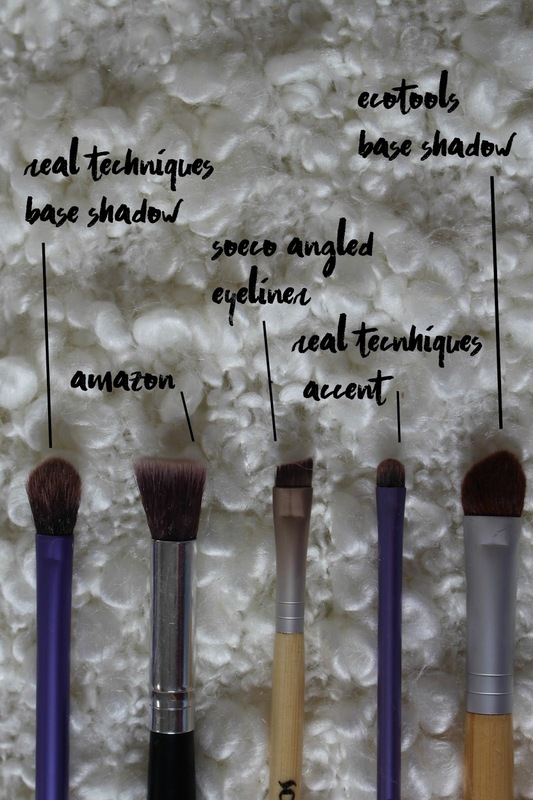 Yes the quality has to be good, but there are many drugstore brushes you can find that in my opinion are just the ticket to the perfect brush. I thought I would share with you my top eye brushes in my collection that I use every time I wear makeup. This brush is perfect for applying your eyeshadow. I either use it as a blending brush for my crease, as it is quite fluffy, or I use it to messily apply my base colour when I want to create a more laid back eye look. This brush is so versatile and you can use it to create an array of eye looks. I was on the look out for a really fluffy blending brush that didn't cost an arm or a leg, so headed over to Amazon. I found a set of these brushes for a good price but didn't think they would succumb to much, however upon their arrival I was taken back by their quality! These brushes are some of the best quality I have tried! They don't shed and blend eye shadow beautifully. Unfortunately, I don't have the link but just search makeup brushes and I'm sure something similar will come up. Me being the rebel that I am bought this brush but don't use it for its chosen task. I don't use gel eyeliner and so don't need the brush for it. However, this brush is great for your eyebrows when filling them in with eyeshadow. The thin brush allows you to be precise whilst keeping the shape of your eyebrows with the angled effect. Such an affordable brush that I use almost everyday! When I am creating an eye look I love bringing down the shadow to my lower lash line and this is the brush I use for that. As it is so tiny it is perfect for creating a slight smokey effect with your eyeshadow. Also, because it is quite a dense brush it is perfect for packing on the eyeshadow to areas that you want to focus it. This is a brand of brushes that I love. There bristles are so soft and good quality you don't have to worry about shedding. I use this brush when I want a more focussed eye look on the base. It works great at packing on the colour and can also double up as a blending brush if you don't have one. 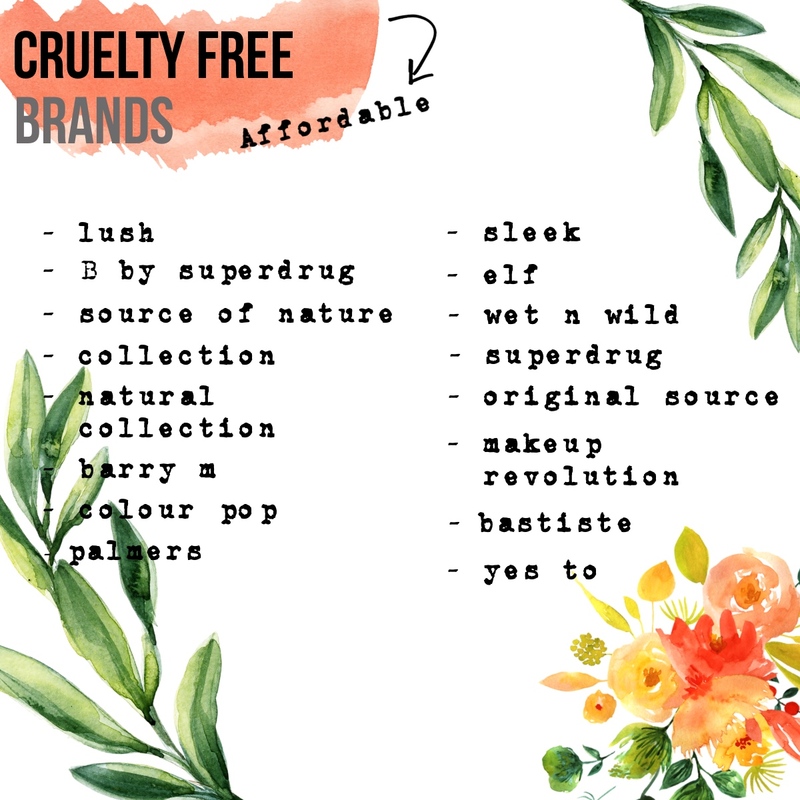 **These brushes marked with a double asterisk are cruelty free, using synthetic bristles. I love the eco tools brush! !